Galeria Centralis launches a competition for the use of two flat surfaces (each measuring 440 x 250 cm) in an exhibition. Contestants are invited to submit a design for an artistic/scientific/political work of art or (a) message(s) to be displayed on the surfaces, which are installed in the central area of the Galeria. The projects can be painted, collaged/glued, or projected. One project may cover one surface. Galeria Centralis will take care of mounting the winning project(s) on the surfaces. HUF 150,000 will be provided for the realization of each of the winning projects. The projects will be on display between November 14, 2012 and January 6, 2013. Designs can be delivered personally to the Galeria (Budapest V. Arany János u. 32.) or sent by e-mail in PDF to Nora Bertalan ( bertalan@ceu.hu). Deadline for submissions: October 31, 2012. Only projects created during the last two years will be considered. 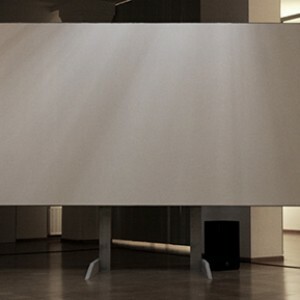 Contestants may come and inspect the empty surfaces in Galeria Centralis until October 31, 2012, during opening hours.